The 2019 MENCS is going to be one of the hardest to predict. NASCAR decided to make significant rule changes to make the racing more competitive. This means more drivers should have a chance to find their way to the front. This also means the drivers who dominated in the past will have more competition in the future. The easiest way to select your drivers each week was to simply look at the lap speeds from practice. Since the cars will be practicing in draft (similar to Superspeedway racing), these lap times will not be as important. A good handling car is what will get a driver to the front. The best way to find out which driver has the best handling car is to check out my Garage Talk Notes each week. It will be hard to win your league without them. Kyle Busch (Joe Gibbs Racing) is my top driver in Fantasy NASCAR. He tied Kevin Harvick for the most wins and finished second to the No. 4 team in laps led (1,469) last year. I like Busch this year because of the new aerodynamics package NASCAR is using. The word in the garage is that the MENCS cars will drive similar to the trucks. Kyle Busch is tied with Ron Hornaday Jr. for most wins in the truck series (51). Although Busch is not a big fan of the rules change, he is the driver who will benefit the most. Kevin Harvick (Stewart-Haas Racing) is like a fine wine, he gets better with age. Harvick had his best season at age 42. I doubt father time is going to catch up with him this year. Harvick had 8 wins and led the series in laps led (1,990) last year. The only thing that slowed down the No. 4 team was their pit crew. Harvick will win multiple races and be a series threat to be the top driver in Fantasy NASCAR. His team just needs to stop loosing track position on pit road. Martin Truex Jr. (Joe Gibbs Racing) will have a new team in 2019. Do not let this change keep you from selecting Truex as a top-three pick in fantasy drafts. Truex will have his crew chief Cole Pearn with him. The biggest change with the new team is the location (from Denver to Charlotte). Truex has been a top-three fantasy driver for four years in row. That will not change in 2019. Chase Elliott (Hendrick Motorsports) took a big step in his NASCAR career by winning three races in 2018. Two of the wins came in the playoffs (Dover and Kansas). Hendrick Motorsports should be a lot better this year now that they have had an offseason to figure out the new car. After the “Big Three” are taken in your draft, it may be wise to take a driver with a lot of upside. Elliott is that driver. Joey Logano (Team Penske Racing) is the safest pick after the “Big Three” are selected. Logano is the most consistent driver in NASCAR. He will stockpile the top-10 finishes (he had 26 of them in 2018) and he will avoid the DNFs. The only thing holding Logano back from joining the “Big Three” is his ability to lead laps. If Logano can dominate more races, he will be a top-three driver in Fantasy NASCAR. Brad Keselowski (Team Penske Racing) may win more races then Chase Elliott or Joey Logano but he will have more DNFs as well. Keselowski won three races and had six DNFs. Keselowski is known as one of the best drivers in the sport on the Superspeedways so it is surprising that three of his DNFs came on these tracks. Keselowski should bounce back at the plate track and be a valuable asset to your fantasy team. Kyle Larson (Chip Ganassi Racing) had his breakout season in 2017 when he won four races. Most people expected the young driver to take the next step and compete for the championship in 2018. That was not the case. Larson failed to win a race but he did have 12 finishes in the top five. The struggles for the No. 42 team had a lot more to do with the new Camaro ZL1 car then with Larson’s skills behind the wheel. I expect him to bounce back and win multiple races in 2019. Ryan Blaney (Team Penske Racing) is my No. 1 sleeper pick this season. If you feel like swinging for the fences with a top-10 pick, Blaney is your driver. I predict Blaney will win the Daytona 500 and get his season off to a hot start. Blaney has made significant improvements each year in the Cup Series. If he improves on his 1 win, 8 top-five finishes, 16 top-10 finishes and 3 poles; he will easily be a top eight fantasy pick in 2019. Kurt Busch (Chip Ganassi Racing) made a risky decision by leaving Stewart-Haas Racing for Chip Ganassi Racing. Busch is a good driver who gets the most out of his cars. Instead of playing second-fiddle to Kevin Harvick, Busch will share a leadership role with his new team. His talent makes Busch a tier two pick in fantasy drafts, but the uncertainty with his new team drops him to tier three. Erik Jones (Joe Gibbs Racing) is an interesting pick for fantasy this year. He has ton of talent but it is hard to predict when he is going to breakout. Jones got his first win in the Cup Series last year at Daytona. He should win another race in 2019. Jones is a former Truck Series Champion so the new aerodynamics package should fit his driving style perfectly. He just needs to lead more laps and be more consistent before he is a tier two driver. Denny Hamlin (Joe Gibbs Racing) has one of the most important seasons of his career coming up. Hamlin can either bounce back and prove he is a top eight driver, or he can continue to struggle. Christopher Bell could be in this car next year if he has another season without a trip to Victory Lane. Joe Gibbs Racing made a crew chief change to help breathe some life into the No. 11 team. Hamlin is a risky pick, but if he simply returns to normal, Hamlin will be a bargain outside the top 10 in your fantasy draft. Aric Almirola (Stewart-Haas Racing) had a career season in 2018. He really came to life in the playoffs. Almirola finished the season with six consecutive top 11 finishes. Will that success carry over to the 2019 season? I think it will. Almirola never had cars as good as what he had in 2018. It took him a while to get comfortable racing up front. Now that he knows what it takes to get to the front, this could be another big season for Almirola in the No. 10 car. Clint Bowyer (Stewart-Haas Racing) had his best season since his days with Michael Waltrip Racing. Many people considered Bowyer a favorite to join the “Big Three” in the Championship Four at Homestead. Bowyer had a lot of good races but his inconsistency killed his chances of being a title contender. Bowyer is a boom or bust pick in fantasy. He has a handful of tracks where he runs very well and a handful where he dominates. Be happy if Bowyer is on your team but do not expect top-five fantasy points from him. Jimmie Johnson (Hendrick Motorsports) is a tier four driver? Oh how the mighty have fallen… This ranking is solely based upon Johnson’s performance in the last two Cup Series (Johnson finished 14th in points last year and 10th in 2017). Hendrick Motorsports made a crew chief change with the No. 48 team to try and kick start the team. Kevin Mandeering will call the shots and it could be the change Johnson needs. Although Johnson struggled the last two seasons, getting him at the No. 14 spot in fantasy drafts is still a bargain. Alex Bowman (Hendrick Motorsports) had a decent season in 2018. He was actually the second-best driver for Hendrick Motorsports. Bowman enters his second season in the No. 88 car. More experience should equal better results. Bowman is probably a safer pick than Jimmie Johnson, but he has les upside. Austin Dillon (Richard Childress Racing) is another sleeper pick for the 2019 season. Dillon has not had much success in the Cup Series but that could change with the new aerodynamics package. Dillon is previous Gander Outdoors Truck Series and Xfinity Series champion. The reduced horsepower and more drag on the cars fits his driving style perfectly. The question is with his team. 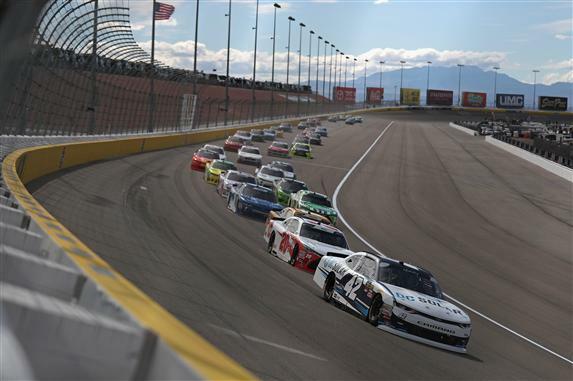 Can Richard Childress Racing provide a car fast enough for Dillon to get to the front? He should have more top-10 finishes, but not enough to move him out of tier four. Daniel Suarez (Stewart-Haas Racing) will have a new ride in 2019. Suarez was released by Joe Gibbs Racing and he signed with Stewart-Haas Racing to drive the No. 41 car. Suarez’s career is looking very similar to Joey Logano’s career. Both drivers were brought to the Cup Series before they were ready. Both drivers struggled at Joe Gibbs Racing. Can Suarez jumpstart his career at SHR like Logano did at Team Penske? If he does, he will be much better than a tier four driver. Ryan Newman (Roush-Fenway Racing) left Richard Childress Racing to join Roush-Fenway Racing. He said the move was made because he liked the direction Ford was going and he has a close friendship with his hunting buddy, Ricky Stenhouse Jr. Newman’s career is on the decline. He will have a handful of top 10 finishes but his days of winning multiple races are over. Newman would be a good third or fourth driver for your team. William Byron (Hendrick Motorsports) has tons of talent but you could not see it on the track last year. His rookie season was a disaster. I blame this on the new Camaro ZL1 car more than Byron’s talent behind the wheel. Chad Knaus was brought over from the No. 48 car to help get Byron to the front. This combination is going to work better than people think. Byron will be a more consistent driver in 2019. Paul Menard (Wood Brothers Racing) had a decent season in 2018 but he was too inconsistent for fantasy players to count on. Menard always gets off to a hot start and then fades as the tracks heat up. He will once again be a star on the Superspeedways and Indianapolis. It is hard to count on him for much more than that. Ricky Stenhouse Jr. (Roush-Fenway Racing) is a two-trick pony. He is awesome on the Superspeedways and he is very good at Bristol. He is usually a top 20 driver everywhere else. Stenhouse had 15 finishes outside the top 20. That is not going to cut it in Fantasy NASCAR. Maybe his new teammate, Ryan Newman can help him be more consistent in 2019. Matt Dibendetto (Leavin Family Racing) will make the biggest jump in fantasy rankings this season. Last year he was simply field filler. This year he is a driver we can finish our teams with. Leavine Family Racing is taking the place off Furniture Row Racing under the Toyota umbrella. The alliance with JGR should provide Dibendetto some fast cars. Does he have the talent to keep them inside the top 20. I think he does.